A new look at some unusual remains found at New Mexico’s Chaco Canyon may change our understanding of when, and how, the culture of the Ancestral Puebloans felt the first stirrings of economic and social complexity. 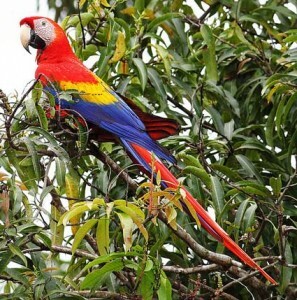 According to new research, the remains of more than a dozen scarlet macaws — tropical birds whose remains were unearthed at Chaco — turn out to be centuries older than was originally thought, suggesting that the long-distance trade that brought them there likely arose hundreds of years earlier than many archaeologists believed. What’s more, researchers say, Chaco’s trade in colorful birds and other exotic goods from Mesoamerica, such as turquoise and chocolate, required not just an extensive network but also a degree of social hierarchy, because such prized items were likely controlled by a ceremonial elite. As a result, the archaeologists note, the new findings suggest that Chaco Canyon’s growing economic reach may actually have been the driving force behind — rather than a mere symptom of — its burgeoning cultural and religious sophistication. “Our findings suggest that rather than the acquisition of macaws being a side effect of the rise of Chacoan society, there was a causal relationship,” said Dr. Adam Watson of the American Museum of Natural History (AMNH), and lead author of the new study, in a press statement. The bones of 30 scarlet macaws were originally excavated in 1897 from three rooms in Pueblo Bonito, the largest of the grand, multistory great houses that comprise the ancient complex of Chaco Canyon. Fourteen of the animals were found in a single chamber, known as Room 38, which seemed to serve as a sort of indoor holding pen for the birds. Another 16 were found throughout the canyon, often buried among other artifacts such as pottery. 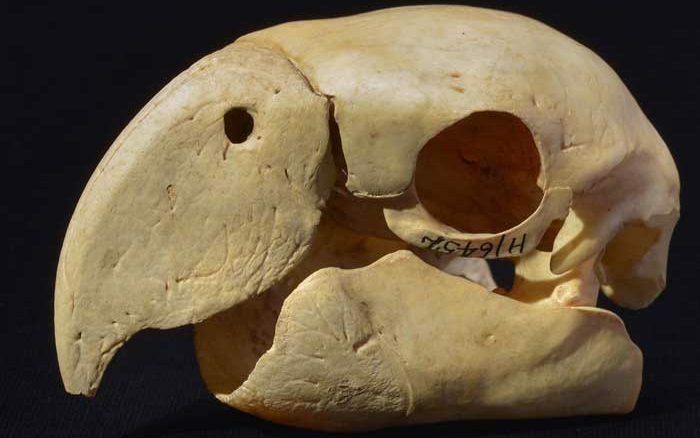 The macaws’ skeletons were kept in storage at AMNH, until Watson and his colleagues decided to conduct radiocarbon tests on them, as part of an ongoing study into the rise of Chaco’s social and cultural development. Pueblo Bonito was constructed in phases from 850 to about 1150. 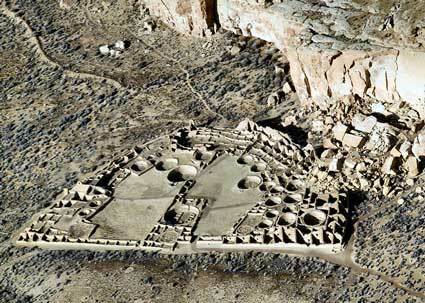 “In general, most researchers have argued that emergence of hierarchy, and of extensive trade networks that extended into Mexico, would coincide with what we see as other aspects of the Chaco florescence: roads being built outward from Chaco and the formation of what are called Chaco outliers that mimic the architecture seen in the cultural center,” said University of Virginia archaeologist Dr. Stephen Plog, who co-authored the study. 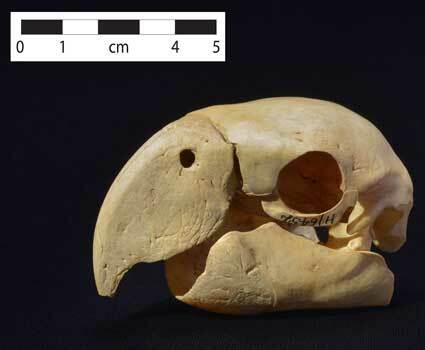 However, radiocarbon analysis of 14 macaw bones taken from three chambers in Pueblo Bonito showed that the birds dated back as far as 1,130 years — more than 150 years before Chaco’s trade with Mesoamerica was thought to have begun. Twelve of the 14 animals studied turned out to predate Chaco’s “golden century,” the experts noted, with 7 of them dating to the 800s. Therefore, the researchers surmise that earlier access to these scarlet macaws must suggest an earlier development of a religious elite at Chaco Canyon, because the birds impart strong ceremonial significance in Puebloan society. “Birds are a part of nature, but they are also agents with magical properties that can be put to human use,” said team member Dr. Peter Whiteley, curator of anthropology at AMNH. Scarlet macaws and their red feathers are strongly associated with the south, one of the four cardinal points that comprise the Puebloan cosmology, the experts noted, and macaw feathers have frequently been found on ritual artifacts such as staffs and garments. “Flight, or just the appearance of certain birds or the use of their feathers, is believed to motivate the fall of rain or snow, as well as the seasons, the sunshine, and the heat,” Whiteley said. The feathers of scarlet macaws have been used in Pueblo ceremonial items such as prayer sticks and masks, and acquiring and caring for the birds were likely the work of ritual elites, archaeologists say. With so much importance resting on the exotic birds, their acquisition and care was likely the job of a ritual class that was tasked with overseeing ceremonial duties at Chaco Canyon. And indeed, previous research by the team has already suggested that Chaco became socially and religiously complex before it became so architecturally monumental. In 2010, Watson and his colleagues studied a pair of human remains found interred in Pueblo Bonito’s Room 33, widely presumed to be members of an elite class, since they were buried amid a wealth of grave goods such as seashells, turquoise beads, and flutes. Radiocarbon analysis showed that the pair dated to between 750 and 850 CE — again, centuries before Chaco’s heyday. Taken together, the team says, these clues suggest that Chaco society developed a complex, hierarchical structure not only earlier than expected, but also more gradually. “We propose that the hierarchical sociopolitical foundation of Chacoan society was established during the initial era of construction of the great houses, and that this foundation was reinforced during the late ninth and 10th centuries by the acquisition of scarlet macaws and other cosmologically powerful agents from Mesoamerica,” Plog said. “Sociopolitical hierarchies evolved over the course of nearly two centuries before taking the more visible forms seen in the Chaco florescence. The team reports its findings in the Proceedings of the National Academy of Sciences. So the founding sorcerers likely walked in with macaws in hand, cool.